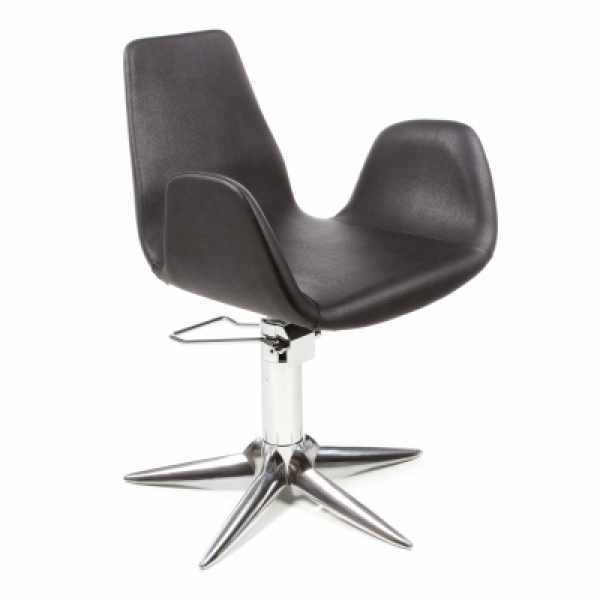 This swivel styling chairs structure is in polyurethane material upholstered with vinyl (available only in Black). Chair available with Base models: Roto, Parrot and Dieci. Made in Italy.